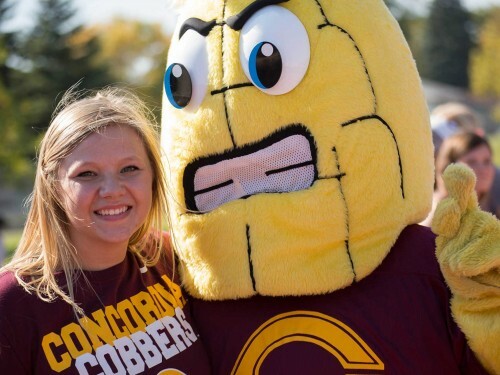 While we can’t fully illustrate every reason why being a Cobber is so special, these are a few of the college’s time-honored traditions that stand out as hallmarks of the Concordia experience. 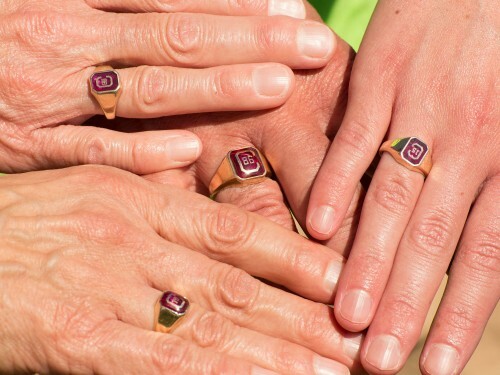 The Cobber ring is the second most recognized ring in the country. 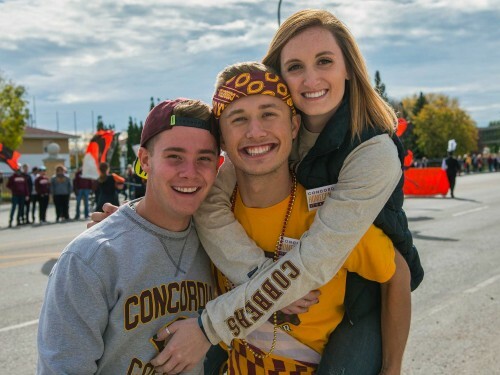 Cobbers young and old recognize one another when they see them, and they connect alumni far and wide. 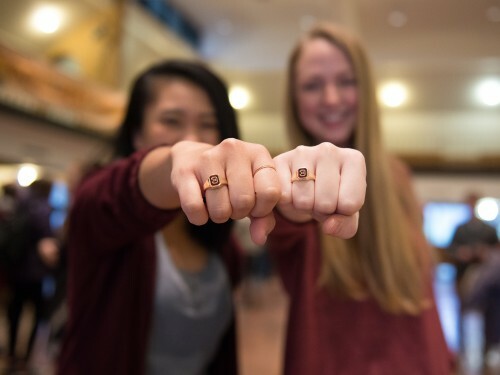 Rings are ordered in students’ junior or senior years and are a long-standing tradition at the college. 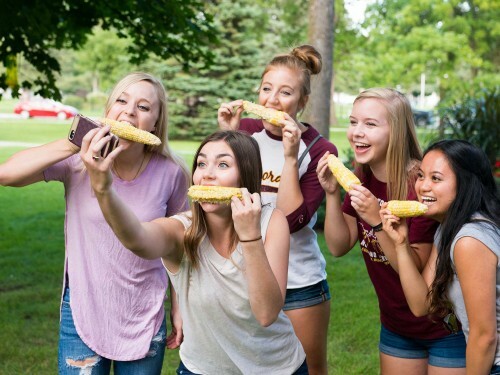 Cobbers love their corn. But what they love even more is connecting with other Cobbers. Each year, corn feeds are held around the country (and sometimes even overseas) because there are Cobbers everywhere. Receiving a Cobber beanie is a rite of passage for every student. 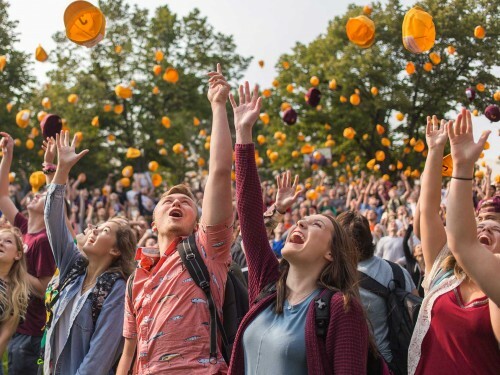 Personalized beanies are given to first-year and transfer students at the Orientation Welcome Show and most Cobbers keep theirs far past their time at Concordia. When your mascot is a grimacing corncob, you get to tell your opponents to "Fear the Ear!" Cobbers are loud and they’re proud. 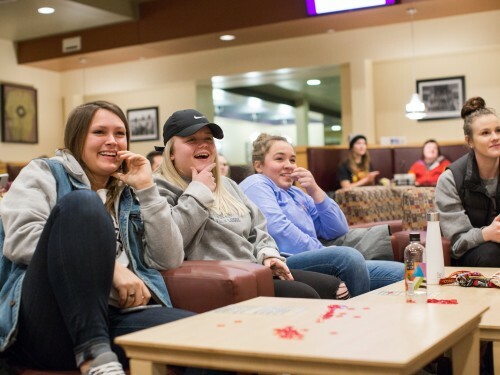 Alumni and students from around the country and the globe gather each fall to reconnect and show their Cobber spirit. 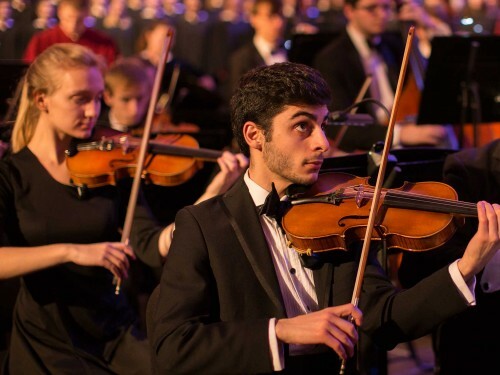 The Concordia Christmas concerts are a 90-year-old tradition and nationally renowned event. Concerts are held on campus and at Orchestra Hall in Minneapolis. 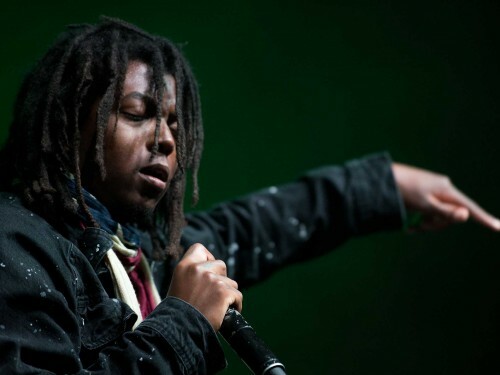 Cornstock is Concordia’s annual end-of-the-year concert, a take on the legendary 1969 event, Woodstock. It is a highlight of the academic year for both those who attend and those who work behind the scenes.